Get more money-saving content with our email newsletter! So who else is obsessed with the Magic Eraser? It’s okay to admit it, because that little cleaning tool truly is magical. 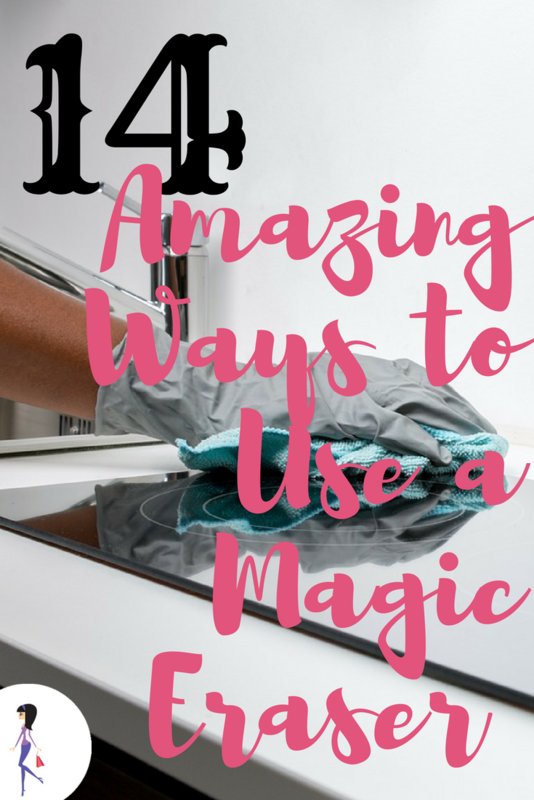 I’ve already been using it to clean lots of little messes all around the house, but I recently discovered a whole lot of other amazing things it can do, and I know you’d love to know about them, too, so here they are! These cool cleaning tricks should all be safe, but just to be sure, always test on a small area first to prevent damaging delicate surfaces. I like to use real pans rather than disposable- it’s more economical and planet-friendly- but that habit does have a downside: you have to wash them! And that gets really hard when you’re facing some baked-on food or grease. Well, those days are over, because just some light scrubbing with a Magic Eraser will get it all off with only a bit of effort. Then all you have to do is wash as usual. There’s something really sharp looking about clean white soles on a new pair of sneakers. Keep them looking that way with a little scrubbing with a Magic Eraser. Removing adhesive has to be the hardest thing, and even when you think you got it all off, you see that you didn’t! Rub a Magic Eraser over it to get rid of the stickiness. 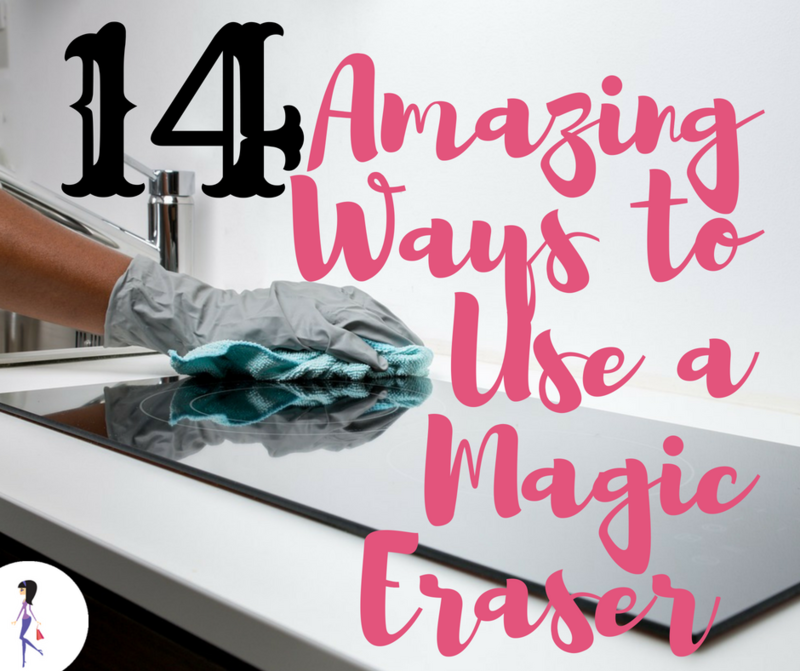 That Magic Eraser will get your stove top sparkly clean. Rubbing a Magic Eraser will remove scuff marks from walls, floors, and baseboards. Old marker ink sometimes has a way of lingering, but a Magic Eraser can get it off. Doing home hair color can be messy, and risky for your counter tops. Scrub with a Magic Eraser to remove color. This is the way to clean off dried messes. Guess it’s not all that permanent, is it? I’m not going to stop using deodorant, but I can do without the white stains it leaves on my clothes. Rub them off with a Magic Eraser. Scrub with a Magic Eraser to get your grout pristine clean. Wipe away stuck-on product residue with a Magic Eraser. Just make sure the tools are cool first! Clean off counters or any other surfaces that are ruined by rust stains. How do you use the Magic Eraser? Share with us on Facebook and Twitter!